The Braves are holding the best closer in the league and one of the best bullpen staffs. Craig Kimbrel is as dominating as they come with a 16.66 K9 in 2012. His continually improving control just makes him look better and better, his BB9 has improved every season to 2.01 in 2012. Johnny Venters was hit a little harder than usual in 2012 but on the surface his indicating stats are mostly unchanged. Although Venters continued to throw in the mid-90s he did see his velocity reduced by around 1MPH. Walden was the closer for the Los Angeles Angels in 2011 and with a solid performance this spring could move ahead of Venters in the closer rankings. Walden throws in the high 90s (though he too saw his velocity reduced a bit in 2012) and strikes out more than a btter per inning but has the type of control that can make managers nervous in the ninth. Steve Cishek is a favorite to be replaced as closer during the season. He lacks truly dominating stuff and lacks the control to be consistently effective. Ramos has slightly better stuff and slightly better control with less experience in the Major Leagues. However, Ramos has been an effective closer in the minors and should get goods odds as the near-future closer for the Marlins. Ryan Webb is a solid relief pitcher but does not accumulate the strikeouts associated with the closer role. For now Frank Francisco remains in place as the closer. He is likely much better than his 2012 performance but understandably most owners will be reluctant to put their faith in him. The Mets have reached out to several potential replacements including Roy Oswalt (yes, as a closer), Jose Valverde and Francisco Rodriguez without any success so far. Francisco is likely to begin the season closing for the Mets and will hold the role until the Mets just can not take it any longer. Bobby Parnell is a hot prospect to take over the closer role at some point. Parnell should get more strikeouts than he does with his high 90s stuff and above average swinging strike rate. Without the higher K9 associated with the position he would probably be a mid-tier closer at best. Jonathan Papelbon had another great fantasy season in 2012. There are some warning signs for 2013 that should not eliminate him from your consideration but may convince you not to throw in that extra dollar in your auction or to grab Jason Motte instead. He pitched a career high 70 innings this season, at age 32 this is not as bad as it would be for a younger player but he did see a velocity drop as a result. He also had a career high HR/FB that was largely hidden by a fairly high LOB percentage. The home runs could be a fluke but it could also be a result of the move from Fenway Park To Citizens Bank Park. Papelbon is unlikely to lose his job thanks to his huge contract but his results could start to decline this season. Some analysts claim that fantasy owners should avoid the Washington Bullpen because of the three potential closers. That seems like bad advice to me. 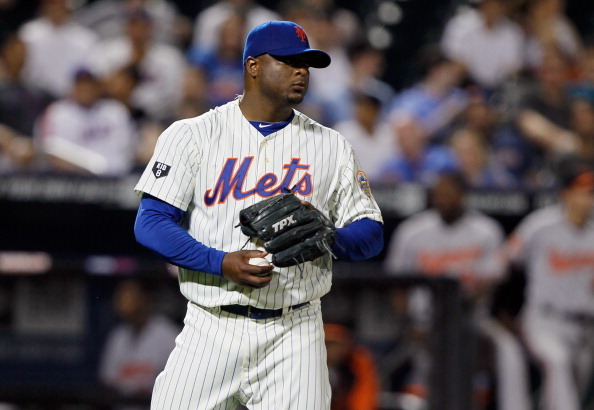 Rafael Soriano is the closer to start the season until he does something to cost him the job. Given his track record no one should be counting on Soriano to fail. Soriano should be one of the better closers in baseball in 2013. Drew Storen certainly has the stuff and I expect him to take a big step up in results this season as far as K9 is concerned. The previous low K9s are likely part of the problem Davey Johnson (an old school manager is there ever was one) had with Storen in the closer role (that and being so inexperienced). Storen's swinging strike rate took a huge step up to 13.3 in 2012 which if it holds up would indicate elite K9 results in his future. Those in long term keeper leagues should pay attention to Christian Garcia. Garcia was a former top prospect of the New York Yankees whose career was nearly ended by a series of Tommy John Surgeries. 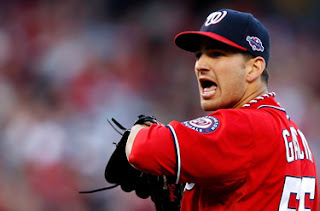 The Nationals gave him a chance to return as a reliever and he rampaged through their system. His high 90s stuff returned with his hammer curve and solid change. He should be a bullpen factor at some point in 2013. The Chicago Cubs tried to dump Marmol off on the Los Angeles Angels early in the offseason but it did not work out. They have since declared their support for Marmol as their closer even as they signed his replacement in Kyuji Fujikawa. Fujikawa is not as flashly as Dice-K or Yu Darvish but has been a very effective pitcher in Japan. His name means "Baseball Kid" He was given the name because he was born the day after his father threw a No-Hitter. He has a career 1.77 ERA and 11.8 K9 in 12 seasons. He was once considered to have the most explosive fastball in Japan but his velocity has decreased in his later years. He still throws in the low to mid 90s with good movement on multiple fastballs including an effective splitter and outstanding control. Judging by Patrick Newman's scouting reports he has fallen from Craig Kimbell levels to J.J. Putz levels and that is not so bad. It would appear that Jonathan Broxton has recovered from years of abuse at the hands of Joe Torre. His strikeout rate and fastball velocity will probably never be what they were again but Broxton has learned to be effective with what he has which is a still a nice low to mid 90s fastball. As long as his control is there he should be an effective mid-tier closer. Only the return of Aroldis Chapman to the bullpen would force an effective Broxton from the closer role. Throwing in the mid to high 90s will earn you a lot of forgiveness from crotchety baseball managers. However, Axford needs to get his stuff under control or he will become a highly paid middle reliever. The good news is that his absurd 19.2 percent HR/FB rate is extremely unlikely to be repeated. Jim Henderson is old for a rookie but his minor league experience is not so different from Axford's. Henderson throws in the mid-90s and has inconsistent control. Burke Badenhop doesn't have typical closer stuff. He throws in the high 80s usually but with excellent control. He is probably the best pitcher in the bullpen but finesse types tend to have a tough time convincing managers they can do the job and fantasy managers prefer strikeouts. Jason Grilli is not very different from the departed Joel Hanrahan but he comes a tiny bit cheaper. Grilli has low to mid 90s strikeout stuff with mediocre control. He has improved considerably the last couple of seasons mostly by improving from weak control of his fastball to the mediocre or decent control he has now. Marc Melancon can also close in a pinch but Grilli should get an extended opportunity and as long as his control holds he should be secure in the role. Melancon has similar stuff with fewer strikeouts but more consistent control. Melancon probably won't take the role in anything less than a full blown collapse by Grilli but he should receive the occasional save chance. To some J.J. Putz still has a reputation as injury prone but that really should be considered a thing of the past if at all. Put has good stuff and has a nice strikeout rate and very good control. Putz should be as solid a pick as they come but former closer Heath Bell is certainly a huge presence in the Diamondbacks bullpen despite the announcement that he would typically be pitching in the seventh inning. There is also David Hernandez. Hernandez has improved quite a bit since joining the Diamondbacks (from the Orioles). He has gained nice control over his mid-90s stuff and has a rising swinging strike rate that lends hope that his gains in K9 in 2012 could stick around. Rafael Betancourt should have been a closer years ago but bad results in very small samples always ruined his chances. In 2012 Betancourt finally finished a season as a team's closer and is a lock to start the 2013 season as the closer as well. Betancourt has an excellent low-90s fastball with an excellent change-up and outstanding control. Rex Brothers is the closer of the future but he'll need some time to get his mid-90s fastball under better control. Brothers also has an excellent slider and a solid change-up. Wilton Lopez is in the Rockies bullpen now thanks to an Astros/Phillies trade un-done thanks to a problem with an examination of Lopez's elbow. Lopez is an extreme groundball pitcher with excellent control and a decent (but not ideal for fantasy) strikeout rate. If Lopez is healthy he should be an excellent contributor to the Rockies pen and a potential closer in a pinch. The Dodgers seem to start every season with a new closer. Brandon League has pretty good stuff but has been plagued with inconsistent control his entire career. The Dodgers acquired him from the Seattle Mariners where he was having a tough season. The Dodgers helped him make an adjustment to his mechanics and League finished the season well and the Dodgers rewarded him with a three-year contract. His control is unlikely to ever be great but when he is going well he induces a ton of ground balls and is a solid relief pitcher but not many fantasy owners idea of a closer. The Dodgers have declared that League will be their closer to open the season. Kenley Jansen who was considered the Dodgers future closer last year has been reduced to next-in-line again thanks to an unfortunate problem with his heart that required surgery. Jansen is expected to be completely prepared to pitch in 2013 but the Dodgers seem understandably shy about putting too much pressure on him. The Padres have a loaded bullpen led by closer Huston Street. Street gets the strikeouts and has excellent control. Petco Park tends to contain the long fly balls. Street is not the most durable pitcher in the league but he is very effective when healthy. Street owners should consider investing in the key members of the Padres bullpen as insurance. Luke Gregerson is probably the short term replacement when Street is unavailable but I like Brad Brach as the longer term closer. Gregerson's pitches in the high 80s and though he has a nicely above average swinging strike rate he does not put up the strikeout totals that would indicate. Brach pitches in the low 90's with his fastball and should have very nice strikeout totals for a middle reliever. His control needs work but was excellent coming through the minors. Sergio Romo lives by his slider. He has a high 80s fastball with nice movement but does not use it much. He gets the strikeouts that owners expect from their closers and he complements them with excellent control. The Giants are calling their closer a collective effort of the entire pen but Romo should get the bulk of saves. Heath Hembree has yet to make his Major League debut but has owned the closer of the future label.Hembree did not have a great 2012 season but is essentially ready to be tested by the big leagues.